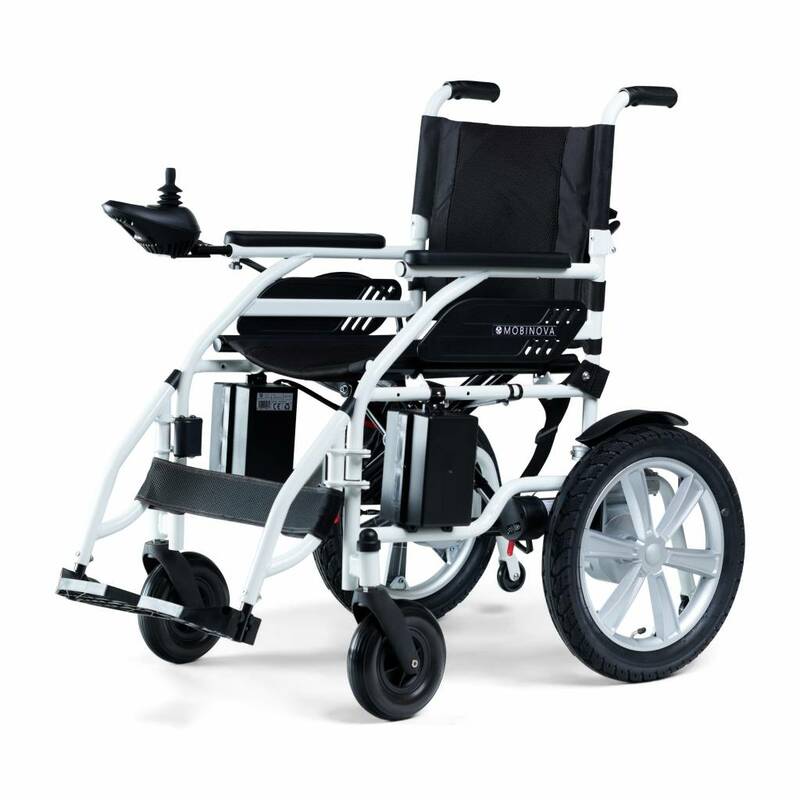 Wheelchair Basic electric, basic model with a great design also due its white frame. The Basic-E can easily be folded (horizontally) and is powered by a 24V Lithium battery. Such Lithium batteries are more sustainable than a standard lead-acid battery. Wheelchair Traveller, lightweight electric wheelchair and small to fold. 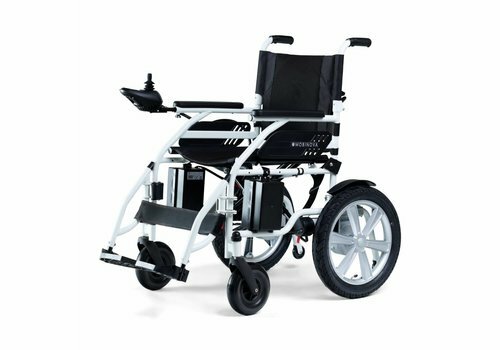 This Traveller with its 2 electric motors for the rear wheels is a perfect wheelchair to take along in a car, bus, train or even airplane. The Explorer is a small and very handy mobility scooter, powered by a Lithium Ion battery. It is easy to operate and the several parts can be dismantled, easy to store! This is the upgraded model with Lithium Ion battery and double headlights. Name badge to write your name on and attach to your rollator or wheelchair. Different colors, making it easy to spot your own vehicle. This rollator Dual is a stylish and modern rollator, easy to fold down into a small package. Wheelchair Basic, with a great design also due its white frame. The Basic can easily be folded (horizontally), also the backrest can be folded down. After folding down, you are left with a package of 78*33*76 cm's, easy to store. If the brake cable of the Dual rollator is damaged, you can purchase a new innner and outer cable from Mobinova. If a front or rear wheel of the Compact rollator is damaged, you can purchase a new wheel from Mobinova. If a front or rear wheel of the Dual rollator is damaged, you can purchase a new wheel from Mobinova. If the brake cable of the Compact rollator is damaged, you can purchase a new innner and outer cable from Mobinova. Battery for the mobility scooter Explorer, Lithium Ion, 24V, 12AH. If you need an extra battery to cover longer distances or if the current one is not working well anymore. Battery for the Basic-E wheelchair, Lithium Ion, 24V, 12 AH. If you need an extra battery to cover longer distances or if the current one is not working well anymore. Small but handy shopping net, small size (29 x 29 cm) to attach to the rear of a rollator or wheelchair. Simple to attach by putting the straps over the handgrips. Organizer bag, to attach to a walk assist or rollator. Handy to store a bottle, tin can, telephone, keys or wallet. Have your hands free and still have some important items within reach. Take a look at our assortment in the webshop. Rollators, wheelchairs, mobility scooters, walk assists and accessories. We only offer the best of quality, we made a selection of products that meet our demands. We import directly from the manufacturers, so delivery from stock. Order on-line or visit us. in our showroom in Aalsmeer, Holland.